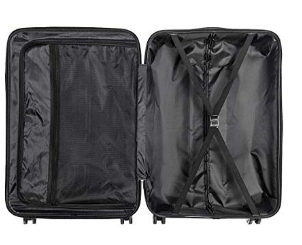 Black Travelpro Maxlite 5 (4011740) is a large capacity lightweight rolling garment bag with a lay-flat design that is designed for being used as a cabin bag. It is rated 4.8 out of 5 stars by 9 customers at the time of this product review, which indicates a good deal of satisfaction. Travelpro Maxlite 5 is made of polyester coated with duraguard that is both water repellant and resistant to stains. 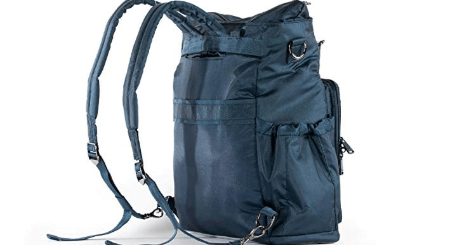 It also has the strong high-tensile zippers that help with the overall durability. Your suits, dresses, pants, shirts, sweaters and other clothes will be free of wrinkles thanks to its lay-flat design with padded straps. There is a soft carry handle and a locking solid yet lightweight metal telescoping handle that stops at 38 and 42.5 inches as well as a detachable padded shoulder strap. The pullout handle can be hidden inside the zipped pocket that you see in the photo. So you have different options for carrying. The interior is rather spacious despite not being so big on the outside- it measures 14 x 21.75 x 8.5 inches and weighs 8.3 pounds. Your clothes and other stuff will be well organized and easy to access thanks to the several integrated pockets for your toiletries or other small items, multiple cross straps inside and the front flap for your tablet or laptop. You’ll be able to roll it easily and smoothly without wobbles, squeaking or noise even on carpets with the robust PowerScope Lite handle and the two large inline skate wheels that offer great performance. Overall it offers more performance and durability than some of the soft-sided garment bags on the market as it comes with a structured folding case. And you can use it easily for overnight, weekend or a few days’ of trips. 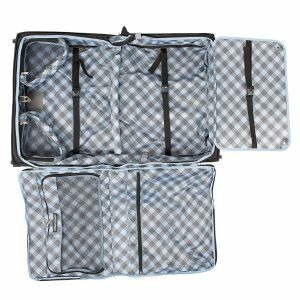 It is a very good quality carry-on garment bag that offers safe, easy and wrinkle-free neat storage for your suits, dresses and other items including your shoes. It would have been nice to have a separate isolated waterproof compartment so as not to end up with damp clothes. It has two large wheels and would have been nice to have two more wheels. 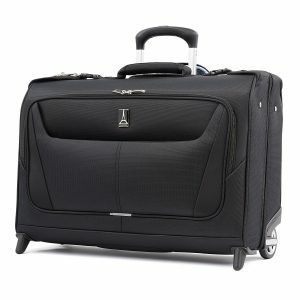 But overall this is a very well designed well-constructed garment bag with plenty of space and functionality. It is offered with a “Limited Lifetime Coverage” as well as a coverage of repair costs by the new “Trusted Companion Promise” for twelve months due to damage by airlines or other carriers. They’ll even pay for the shipping costs when you send your bag for repairs or replacement within this first year of coverage.